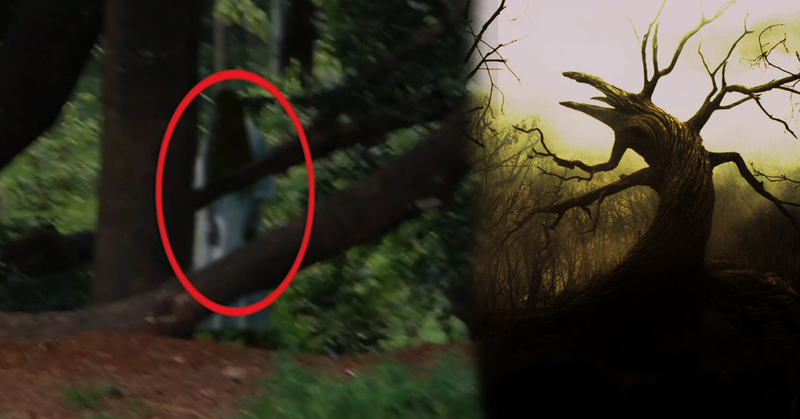 This Horrifying & Haunted Place Of Odisha Will Send Chills Down Your Spine! Listed As Most Terrifying Haunted Place! Don’t believe in ghosts? The story & video below will tell you about the prophecy! Think again, for they’re not always limited to the make-believe world of the big screen. A number of places in Odisha are testimony to this fact: they’ve acquired the ‘haunted’ tag. Some people ask for proofs and some believe in horrifying ‘Paranormal Activities’ though no one confirms. As far as real experiences go, you could go to any place and not have anything happen. With that said, here we’ve one of the most terrifying haunted place which is mentioned in many reports around the world which improves the chances of it’s authenticity. Mysteriousuniverse organisation of Australia has specifically listed and mentioned about this haunted place and it’s history which will send chills down your spine. It’s believed that there is a terrifying tree in Manglojodi that no one will go near. The story behind this haunted tree starts with a rich merchant family from Bombay that travelled to the village on vacation, since the father had been born there. Although the son did not make the journey as he was living in America, the daughter of the family, a young woman studying fashion design in Bombay by the name of Ayesha, was fascinated by life in the quaint rural village. She spent all of her free time roaming about the village and its surrounding areas and one day came across a peepal tree which exuded a pleasant fragrance that hung invitingly in the air around it. Curious, Ayesha approached it and noticed a beautiful flower of a type that she had never seen before growing up in its branches, an odd finding considering that flowers were not known to grow in peepal trees. The woman climbed up, picked it, and headed home. The family pulled her down to the bed, but some unseen force allegedly kept them from laying her down, as if it were forcibly holding her upright in a sitting position. Finally, whatever malevolent force had overcome the girl subsided and she slept. The next day she became even sicker and died, but not before ominously whispering that the tree intended to kill 21 people. A farmer coming to console the family later told them that he had seen the young woman picking the flower and had also witnessed a strange white shadow behind her but had been to frightened to do anything about it. The rumor around the village was that Ayesha had been the victim of a witch who had once lived in the area by the name of Komila. It was said that this witch was fond of using black magic to steal the souls of young girls under the age of 21 in order to increase her power and prolong her life. Eventually word of her nefarious deeds got out and she was lynched and hung from the tree by angry villagers until she died, after which they buried her battered body under it. Legend said that the vengeful spirit of the witch still inhabited the tree she had been hung from and still sought out young women under 21 years of age; women just like Ayesha. The story gets weirder from there. Since then, the legend has not waned. It is said that the evil spirit still inhabits the tree to this day and is especially active at dusk, a time when people take long, circuitous routes to avoid it at all costs. Even in the daytime villagers refuse to go near it and it is said that anyone who touches the dreaded tree will die horribly, typically while coughing up blood. This became apparent when villagers tried to get rid of the evil once and for all by uprooting it. One 19 year-old local boy named Bhawani Behra, who was helping in the task of razing the tree, allegedly suddenly fell ill coughing up copious amounts of blood and died soon after. It is rumored that before dying he claimed that he had seen a ghostly white cat watching him from the tree’s spidery branches. It has been reported that the murderous tree is thought to have been responsible for at least 7 deaths to date, well on its way to the 21 dead prophesied by the dead Ayesha on her deathbed. Locals believe that although the tree was finally felled and only a trunk remains, the spirit lingers and that it will not stop its killing spree until it has taken its 21 souls, which has prompted the grip of terror it still holds on the village. But no body knows whom to believe!